This month a exchange took place between the Eggebek based German Navy squadron MFG2 (2nd Staffel) and the Italian 10 Gruppo from Grazzanise both operating the F-104G. It was a one-way exchange where German aircraft flew to Grazzanise with 6 Starfighters. During this period a Royal Navy “mix” of 809 Squadron Buccaneer S.2 from Lossiemouth and 892 Squadron Phantom FG.1 from Yeovilton were seen operating with MFG 1 at Schleswig Jagel, flying the F-104 Starfighter. 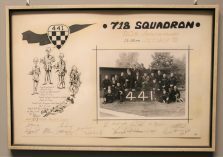 This event looks like a one-way squadron exchange for 1 or both squadrons but we still need confirmation. It also could have been a deployment for a Naval exercise or something else. Who can confirm? This month a exchange took place starting from 3rd of May. Involved were Dutch Air Force 323 Squadron flying the F-104G interceptor aircraft and the Royal Air Force 92 Squadron flying the British counterpart the English Electric Lightning F.2A. It was a 2 way exchange. One of the participants from RAF in Leeuwarden, Ray (Jobber) Watson, stated: "One of our Lightning made a very large bang when the Avpin starter system exploded blowing a hole in the fuselage and requiring an engine change. In the 323 crew room, Uncle Bill told you to put your money for your bear in the till, when you went into the bar till all kinds of alarms and lights whould initiate. Our truck from Gutersloh brought the replacement engine together with a generous supply of Guiness Bear and German wine. Happy days". This month a exchange took place between the Dutch Air Force 311 Squadron, flying the F-104G fighter bomber aircraft from Volkel and the Italian Air Force 154 Gruppo based at Ghedi, also flying the F-104G. It was a one-way exchange. Only four Dutch Starfighters flew to Italy. The Canadian Armed Forces 441 Squadron flying the CF-104, stationed at Baden-Sollingen, exchanged with the Norwegian 718 Skv based at Sola AB, flying the F-5, during this period. 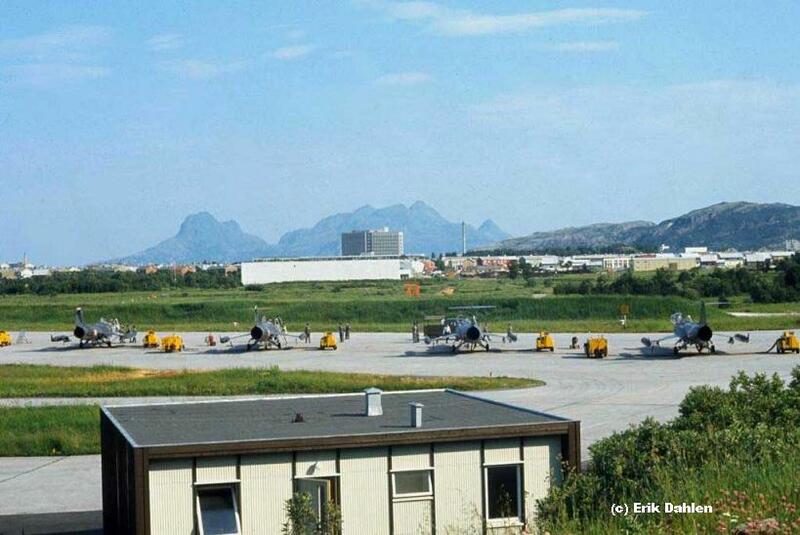 It was a shifted two-way exchange where from May 23rd to 31st, 1972, five Norwegian F-5s were present at Sollingen and in June the Canadians were in Norway. 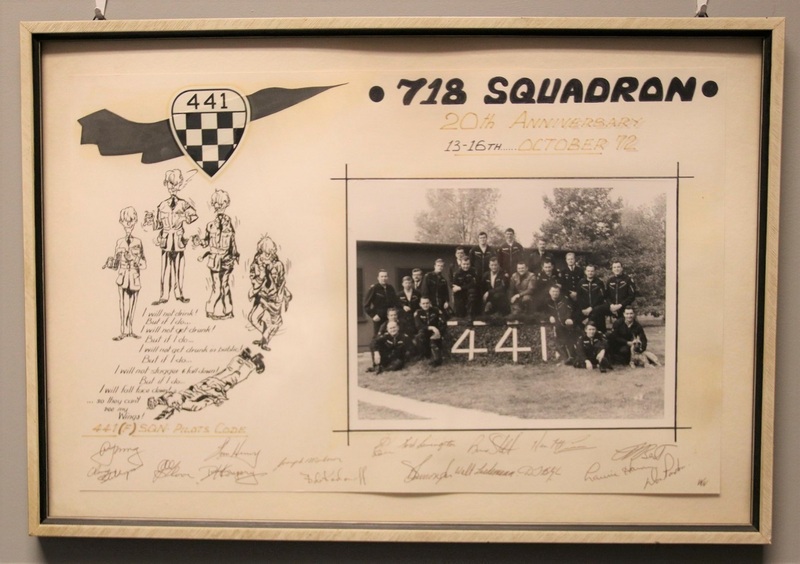 Attached some pictures of gifts by 441 Squadron to 718 Skv for a celebration event in the weekend of 13 till 16 October 1972 (Thanks to Tom Svendsen). 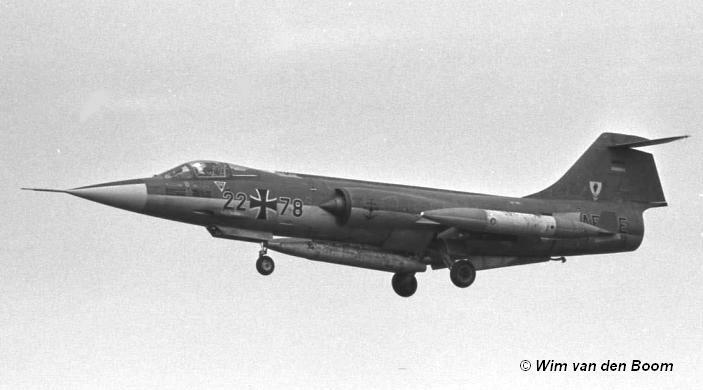 This month a exchange took place between the German Air Force JG74, flying the F-104G interceptor aircraft from Neuburg and the Royal Air Force 23 Squadron flying the English Electric Lightning based at Leuchars. It was a one way exchange. Four Lightning aircraft came to Neuburg together with Shorts Belfast transport aircraft. 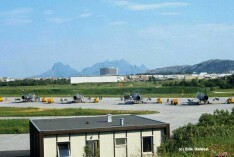 Norwegian Air Force 331 Skv at Bodo AB, flying the F-104G Starfighter exchanged with the Italian Air Force 21 Gruppo based at Cameri AB also flying the F-104 Starfighter. It was a 2 way exchange. 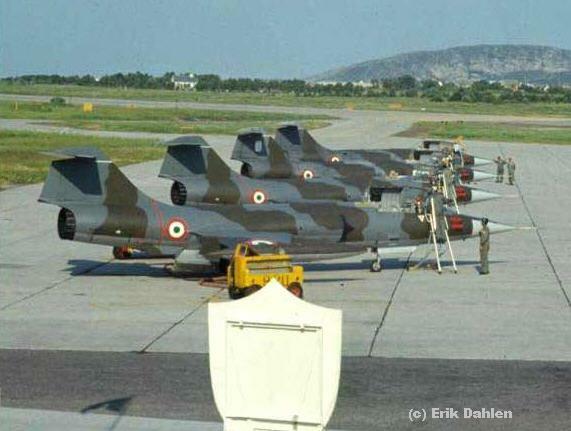 Photos beneath were taken by Norwegian F-104 pilot Erik Dahlen showing the four 21 Gruppo aircraft on the Bodo flightline. 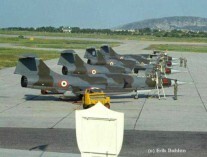 It shows likely brand new delivered F-104S aircraft since only one aircraft carried a squadron serial which was F-104G MM6532/53-15. The other photo shows the group from an other position. 21 Gruppo was in the process of converting from the G to S version, so they still used a mix of G and S. Participating Norwegian aircraft in Italy included at least F-104Gs 61-2626/FN-B, 62-12240/FN-X and 64-17758/FN-Y. (Thanks to Birger Larsen). This month the Hellenic Air Force 335 Mira, flying the F-104G Starfighter flew to Sollingen for a shifted squadron exchange with the Canadian 439 Tiger Squadron flying the CF-104 Starfighter, based at Baden-Sollingen. The Greeks stayed for 10 days. 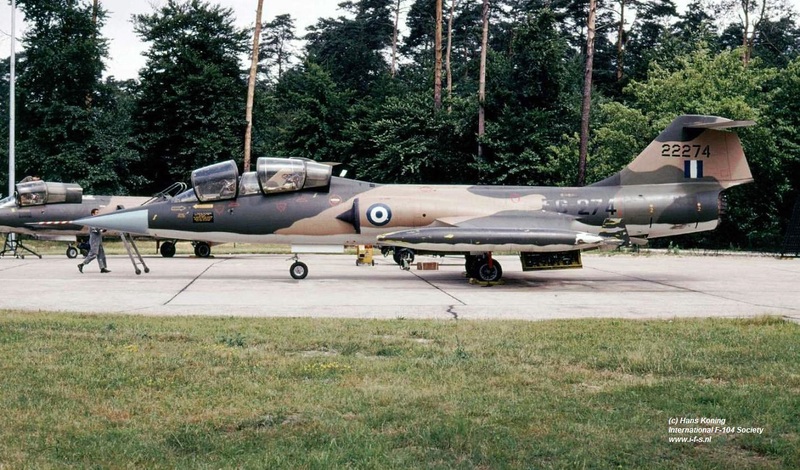 In return the Canadian Starfighter flew to Tanagra, Greece in November. Starfighters seen at Sollingen were F-104Gs 63-12706, 63-12721, 64-17787 and TF-104G 62-12274. 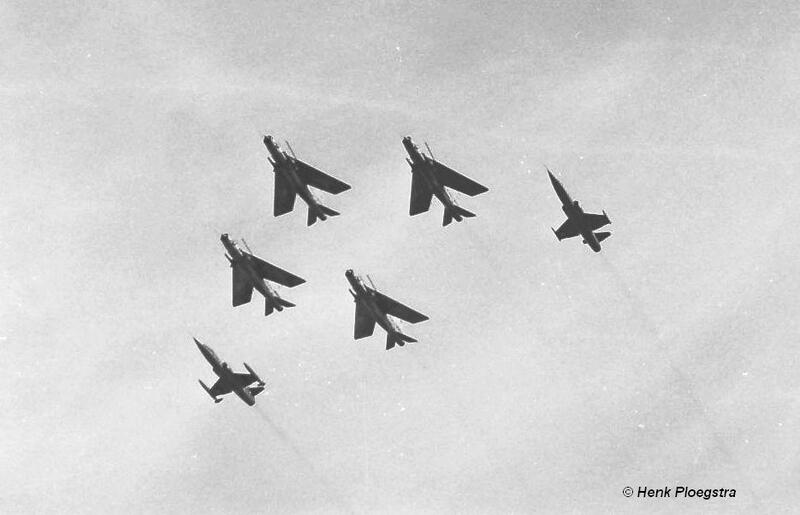 Beneath some nice photos provided by Hans Koning, taken at Sollingen on July 6th 1972. This month a exchange took place between the German Navy MFG1 based at Schleswig Jagel and the Dutch Air Force 306 Squadron based at Volkel Air Base. It was a 2-way exchange.. German Starfighters seen at Volkel were aircraft 22+77, 22+78, 22+84, 22+93, 23+00 and 26+83 all F-104Gs and no RF-104G which is quite remarkable when exchanging with a recce-squadron. Dutch Starfighters at Schleswig Jagel were D-8013, D-8059, D-8066, D-8107, D-8138 and two seater D-5808. Two pre-exchanges took place, first by TF-104G 28+22 and F-104G 22+19 on May 9th and later on by two F-104Gs 22+16 and 22+72 on July 19th. During the exchange TF-104G 27+24 also visited the exchanging teams, on August 4th. The photo beneath was taken by Wim van den Boom and shows 22+78 arriving at Volkel Air Base on August 1st. The Dutch Air Force 322 Squadron based at Leeuwarden AB exchanged with Royal Air Force 111 Squadron based at Leuchars AB flying the Electric Lightning. It is unknown if it was a one or a two-way exchange but at least 4 Lightnings flew to Leeuwarden. 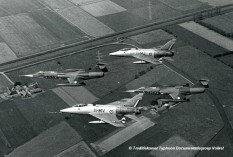 In fact in 1972 both squadrons at Leeuwarden exchanged with Lightning jets. 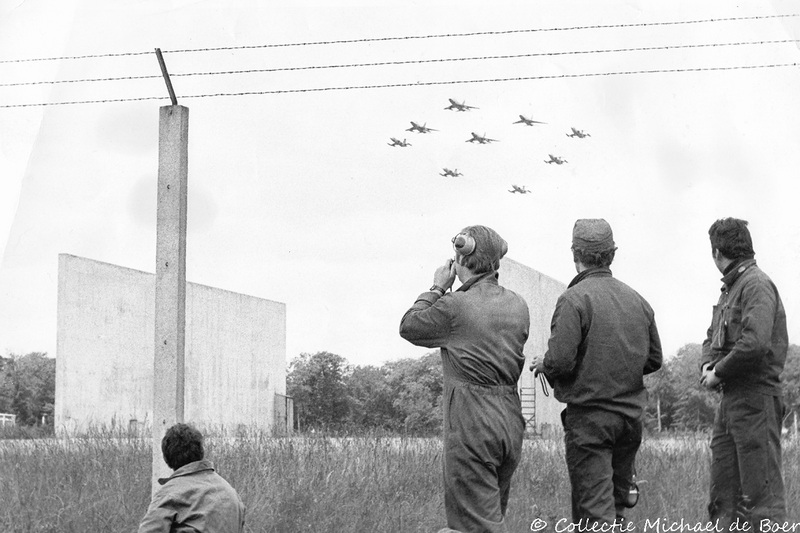 Photo beneath shows the shiny silver Lightnings arrive at Leeuwarden, taken by Henk Ploegstra. Participating Starfighters seen at Leuchars were D-6655 and 6667 which both got zapped on starboard front side. 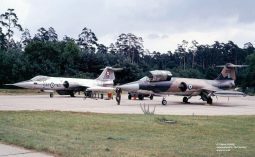 This month the German Air Force JBG31 flying the F-104G, stationed at Norvenich AB exchanged with the Norwegian 338 Skv operating the F-5A at Örland. It was a shifted two way exchange where in August the Germans flew to Norway. On 24 October the Norwegians flew for their period to Germany. 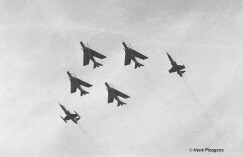 This period a squadron exchange was organized between the Royal Air Force 41 Squadron, based at Coningsby, flying the Phantom FGR.2, and the Italian Air Force 28 Gruppo (part of 3 Aerobrigata) based at Villafranca flying the RF-104G. It is unknown if it was a one or two way exchange but the four participating Starfighters at Coningsby were: MM6638/3-23, MM6633/3-24, MM6631/3-29 and MM6647/3-30. The pre-exchange visit took place 27 June involving MM6646/3-22 and MM6647/3-30. The Belgium Air Force 349 Squadron (1 Wing) based at Beauvechain AB exchanged with nr 5 Squadron flying the Lightning F.6 at Binbrook. It was a two way exchange. First the RAF personell flew to Beauvechain in a Belfast transport aircraft which also flew the Belgium personnel to Binbrook.. One of the Belgium pilots, Lt Robert “Bib” Verbist, had a ride with two-seat Lightning T5 XS455 of No. 5 Squadron on September 6th with Sqn Ldr Tim Gauvain. However the flight didn't take long. The crew had to bail out after a few minutes due to a hydraulic problem. It caused a stick lock after take off due to almost empty hydraulic reservoirs and aircraft crashed North of Spurn Head, Yorkshire. Both pilots were injured but safe. Belgium Starfighters seen at Binbrook were FX43 and FX44. This month there was a squadron exchange between the German Air Force AG51 from Bremgarten and the Italian Air Force 132 Gruppo (part of 3 Aerobrigata) based at Villafranca. 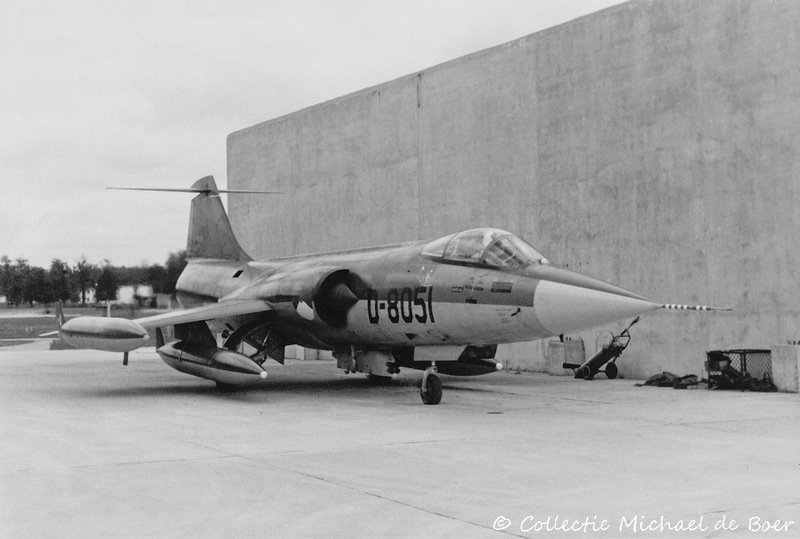 The Italians flew with the F-104G Starfighter and the Germans with the brandnew RF-4E. It is unknown if it was a one or two way exchange but at least the Italians flew to Germany. 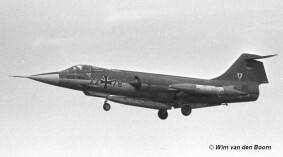 The German Air Force JBG31 flying the F-104G, stationed at Norvenich AB exchanged with the Norwegian 338 Skv based at Örland AB during this period. 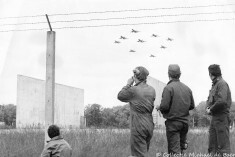 It was a shifted two way exchange where in August 1972 the Germans flew to Norway and on 24 October the Norwegians flew for their period to Germany with their four F-5 aircraft. 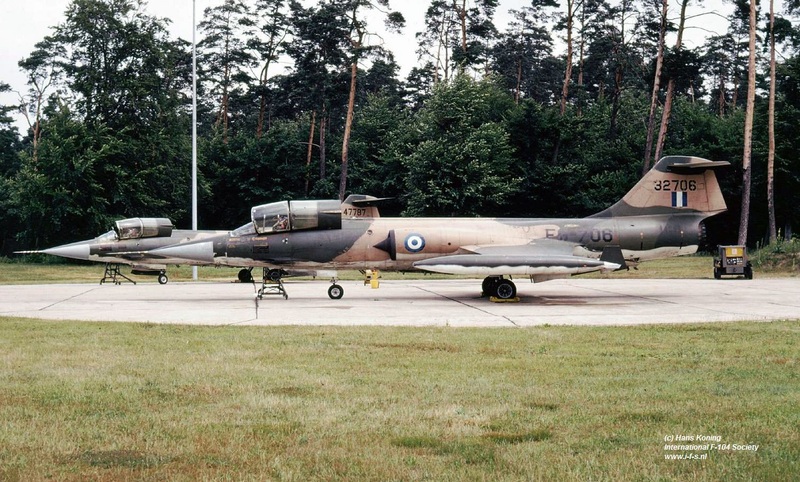 Earlier this year in July the Hellenic Air Force 335 Mira, flying the F-104G Starfighter flew to Sollingen for a shifted squadron exchange with the Canadian 439 Tiger Squadron flying the CF-104 Starfighter, based at Baden-Sollingen. The Greeks stayed for 10 days. In return the Canadian Starfighter flew to Tanagra, Greece in November and stayed there between the 12th and 21st November. This year there was a squadron exchange between the Belgium Air Force 23 Smaldeel (10 Wing), operating the F-104G from Kleine Brogel and US Air Force 91 TFS /81 TFW based at Bentwaters, flying the F-4C Phantom. It was a 1-way exchange. Only the Belgium Starfighters visited Bentwaters. 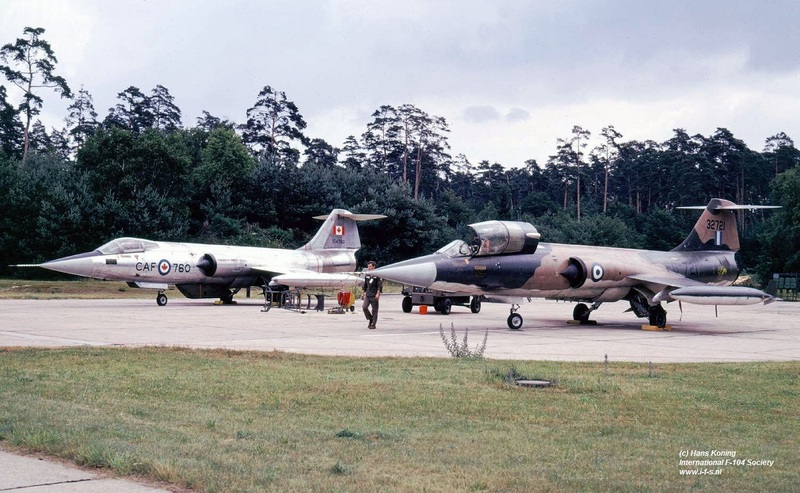 This month the 421 Squadron flying the CF-104 Starfighter, based at Baden-Sollingen visited the Danish Air Force 730 Eskadrille at Skydstrup flying the F-100 Super Sabre, for eight days. 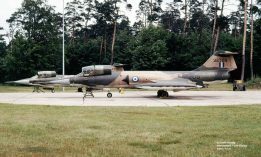 it is unknown if also the Danish F-100s flew to Germany (Patrick Martin information).